Serious talk, and sometimes a little fun. Be prepared! 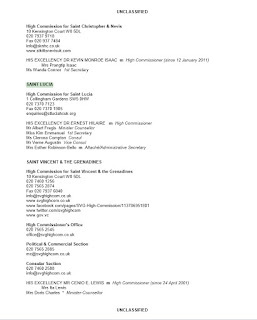 Quietly, in April 2014, an appointment was made to the Saint Lucia High Commission in London which went under the radar to almost every Saint Lucian citizen, except those in the most inner circles of the government. Dr. Walid Ahmed Juffali, a Saudi billionaire, became Saint Lucia's permanent representative at the International Maritime Organization (IMO). Almost straight out of a James Bond 007 movie he remained unknown until his cover was blown on November 9, 2015 by David Blair, Chief Foreign Correspondent, at British newspaper The Telegraph. Although there had already been rumblings in The Daily Mail since June 13, 2015 about Dr. Juffali's divorce brouhaha with former supermodel Christina Estrada, the Saint Lucian public was still in a deep slumber oblivious to what was soon to come. 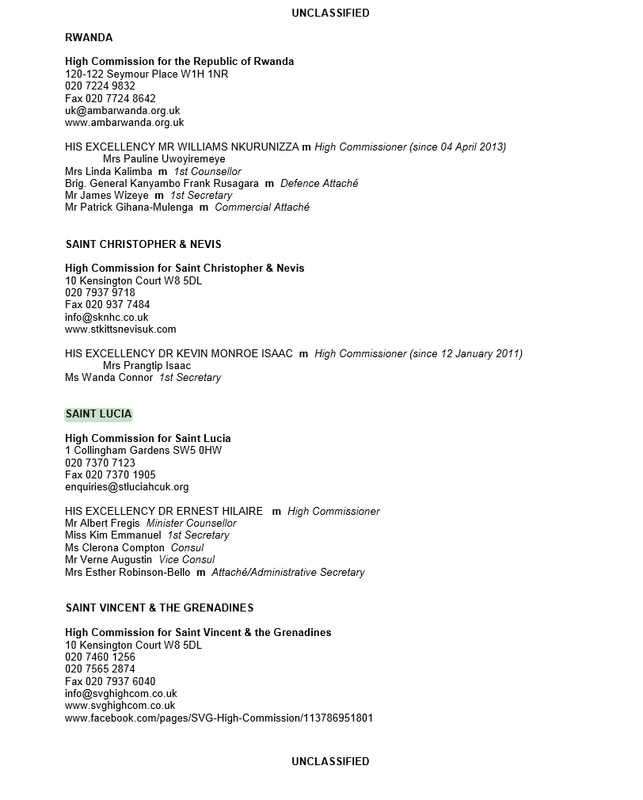 It is of importance to note that Saint Lucia's High Commissioner to the UK, Mr. Ernest Hilaire, held the post of Saint Lucia's Permanent Representative at the International Maritime Organization (IMO) until April 2015 when Dr. Juffali was bestowed with that title.Ernest Hilaire earned a Bachelor of Science degree from the Cave Hill campus of the University of the West Indies with a double major in Sociology and Political Science. He then earned his Master's degree in Philosophy from Darwin College, Cambridge University, England in 1995. He later earned his PhD in Economics from the London School of Economics. 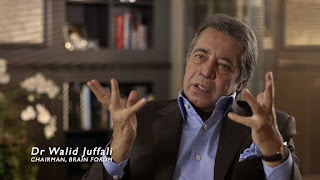 It must be noted that Dr. Juffali has no formal certifications or qualifications in maritime affairs; in fact he is listed as earning a bachelor's degree from the University of San Diego in 1977, and a doctorate in neuroscience from Imperial College London in 2012. His PhD thesis was entitled "A Novel Algorithm for Detection and Prediction of Neural Anomalies." 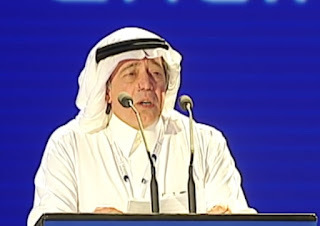 Dr. Walid Juffali is estimated to be worth £4 billion (US$6 Billion, or EC$16 Billion) with properties in England and has had four wives: Basma Al-Sulaiman (1980-2000), Loujain Adada (m. 2012), Christina Estrada (2001-14). Christina Estrada is making claim to his UK properties estimated to be worth £60 Million (US$90 Million). In what seems to many Saint Lucians to be a rather convenient marriage (making Saint Lucia Walid Juffali's fourth wife), many questions are now being asked about this mystery man who has suddenly thrust the island on the international stage in the midst of what appears to be a rather messy divorce in the making. To make some sense of this affair, at least chronologically, let me put events into a palatable timeline in the Saint Lucian context. 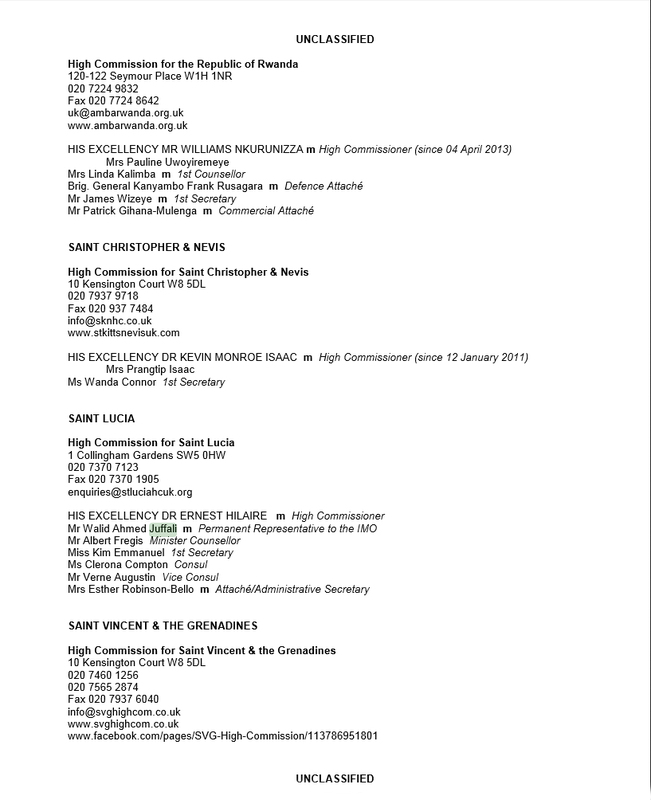 According to the Government of Saint Lucia's press release (page 11) on Dr. Walid Juffali's appointment as Saint Lucia's Permanent Representative to the IMO, and subsequent diplomatic immunity, "he was appointed in April 2014 as Saint Lucia's Permanent Representative to the International Maritime Organization, based in London." 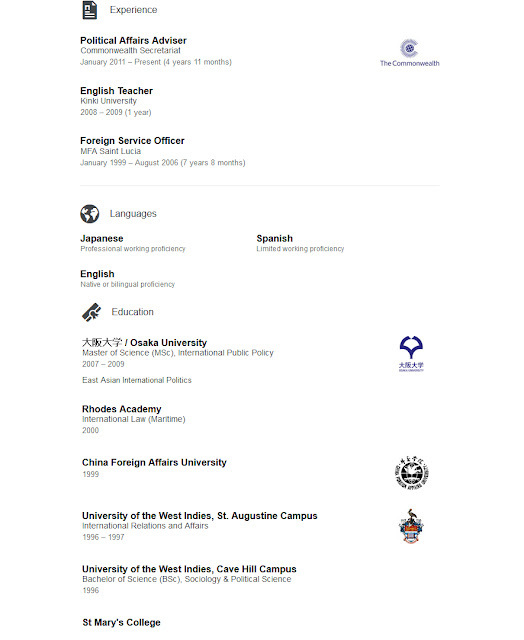 What seems to be a little peculiar is that no press release was made at the time of his appointment back then in 2014, unlike other diplomatic postings. The appointment of Albert Fregis was public, so too was Ernest Hilaire's, Menissa Rambally's in New York, etc., etc. In short, we all knew who our foreign based representatives would be. Surprisingly, the only mention to the Saint Lucian public about the existence of Walid Juffali was after the exposure in the British press of the refusal to lift his diplomatic immunity in the light of the pending divorce case before the British courts. What is even more head-scratching about that press release is that no specific date of the appointment was made, just the month of April 2014. 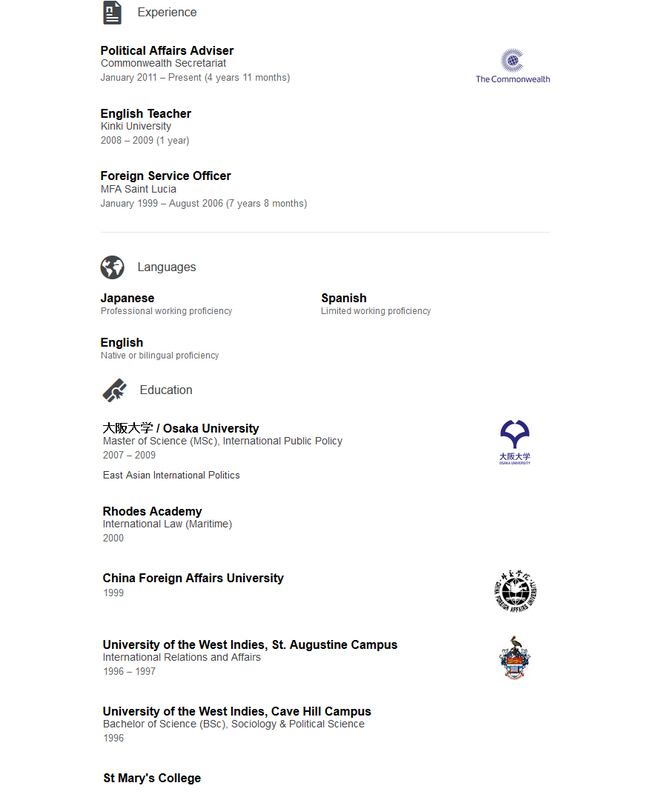 Even more peculiar is that Dr. Juffali's appointment to the post as Permanent Representative at the IMO was not recorded in the London Diplomat List until September 2014, five months later! 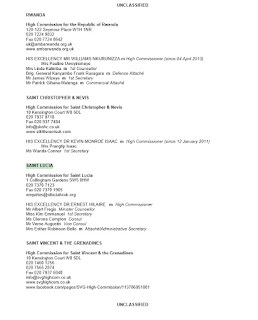 October 2015 - After 18 months of Dr. Walid Juffali being Permanent Representative at the IMO, and news stories are gathering steam about his impending messy divorce in the British courts, Tafawa Robert Williams is listed as Counsellor, Maritime Arrairs. Is Tafawa Williams' appointment designed for him to take over from Dr. Walid Juffali in light of this public spectacle? Is Tafawa Williams not qualified to be our Permanent Representative on the IMO? According to the Government of Saint Lucia's press release of November 11, 2015, "Dr. Juffali ‎is a highly successful philanthropist and businessman." Maybe I'm a bit thick in the skull, but what exactly is a 'highly successful philanthropist'? It goes on to state, "He has received a number of prestigious awards, including: Knight of theOrder of Dannebrog - bestowed by Her Majesty Queen Margaret the II of Denmark; Knight of the Cedars bestowed by the President of Lebanon; and Knight of Saint Sylvester - bestowed by His Holiness Pope Benedict XV" Maybe I'm wrong, but aren't all of the aforementioned honours bestowed on someone after they have rendered service or performed duties above and beyond the call of duty? It seems that for Dr. Walid Juffali the honour of such a prestigious position has been bestowed on him before he even proved his worth to Saint Lucia. The divorce case against Dr. Juffali, in the UK, is a civil matter and can be brought against Dr. Walid Juffali. 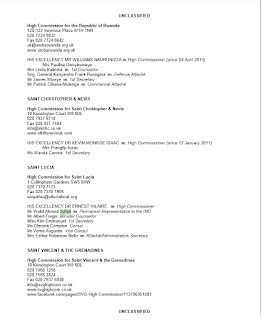 However, it is to be noted that the lawyers of Christina Estrada approached the Government of Saint Lucia to withdraw Dr. Juffali's diplomatic immunity to which they responded, "The Government of Saint Lucia has expressed the view to the lawyers of the former wife that this is a civil matter in which it does not desire to get involved. 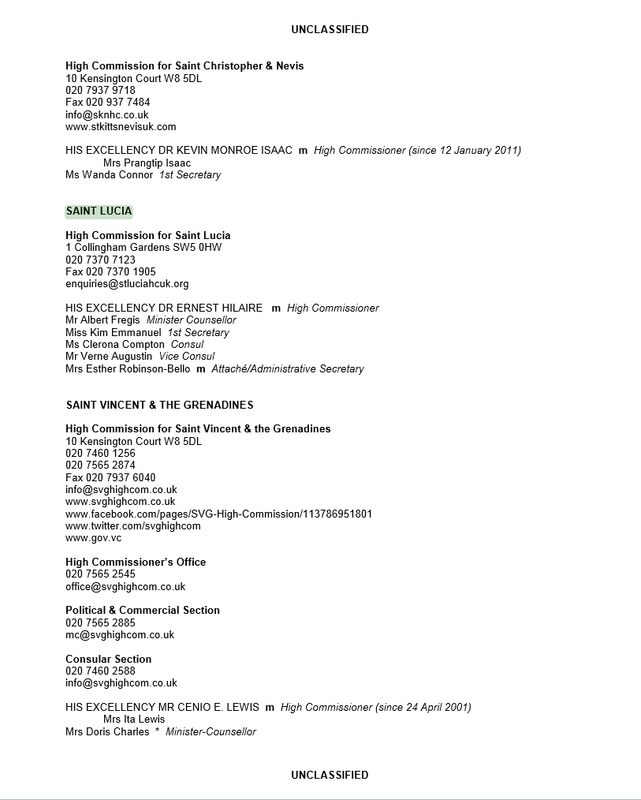 In the view of the Government, this is a private matter and to waive Dr. Juffali’s immunity for the purposes of resolving property disputes arising out of divorce proceedings will create a precedent that could compromise current and future diplomatic personnel in the United Kingdom and elsewhere." This is both absurd and preposterous! First of all what is wrong of setting a precedent? In other words the government has no concern in upholding the rights of Christina Estrada simply because Dr. Walid Juffali is our Permanent Representative to the IMO! So to hell with you Christina! A man who is not a Saint Lucian citizen can thumb his nose at his ex-wife regardless of the fact that he may very well be liable to satisfy her claims for property. I daresay that this action is setting it's own precedent. Where are Dr. Juffali's moral obligations? Oh shucks, I forgot, in Saudi Arabia women are beneath men, especially very rich and powerful men. Is Saint Lucia propagating this backwoods and medieval mentality? Although a civil case can be brought against Dr. Juffali in the British courts, and a judgement or order rendered, his diplomatic immunity can be invoked when he does not comply with this order as there will be punitive actions which can be taken. This is what Christina Estrada's lawyers have apparently anticipated and sought to address before getting to that point. It is quite clear that Saint Lucia's stance on this matter facilitates Dr. Juffali's non compliance with any court order because of his Saint Lucian diplomatic immunity! What message s being sent to all women in the name of Saint Lucia? And we have heard that Dr. Walid Juffali's appointment to the post in London comes at no cost to the government and people of Saint Lucia. Really! So, Walid juffali jumps out of the blue and is so enamoured by Saint Lucia, a country he hardly knows, and a man who most Saint Lucians will not even recognize if they pass him on the street or see his face on television, and decides to represent us free of charge. 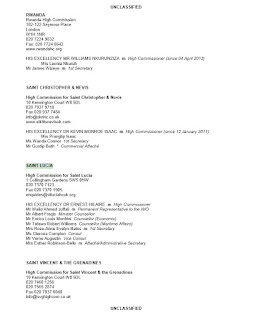 And then the following year, his daughter, Halla Juffali, is named Honorary Counsel for Saint Lucia in Saudi Arabia. I don't know about you, but 1+1 is beginning to look a lot like 11 to me. A man who has made a great fortune by certainly being a shrewd and calculating businessman decides to adopt Saint Lucia as his fourth wife....incredible! Why the posting to the IMO when all that is touted is his prowess as a businessman and not as a sailor, or maritime professional. The International Maritime Organization (IMO) describes itself as follows: A specialized agency of the United Nations, IMO is the global standard-setting authority for the safety, security and environmental performance of international shipping. Its main role is to create a regulatory framework for the shipping industry that is fair and effective, universally adopted and universally implemented. 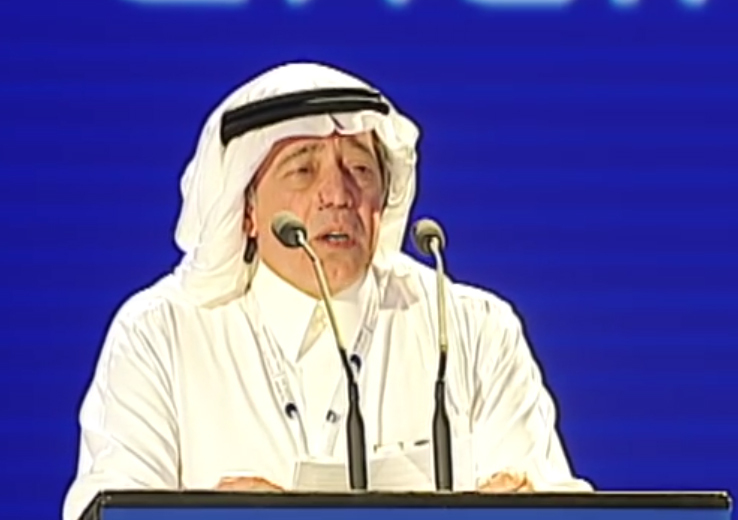 What does this really have to do with Dr. Walid Juffali's business contacts? The government's press release further goes on to boast, "Dr. Juffali has initiated his first major project for Saint Lucia - the establishment of a medical research industry. This project was announced in the Throne Speech of 2015 and the legislative framework for establishing such an industry is currently being reviewed by the Attorney General's Chambers in preparation for enactment. 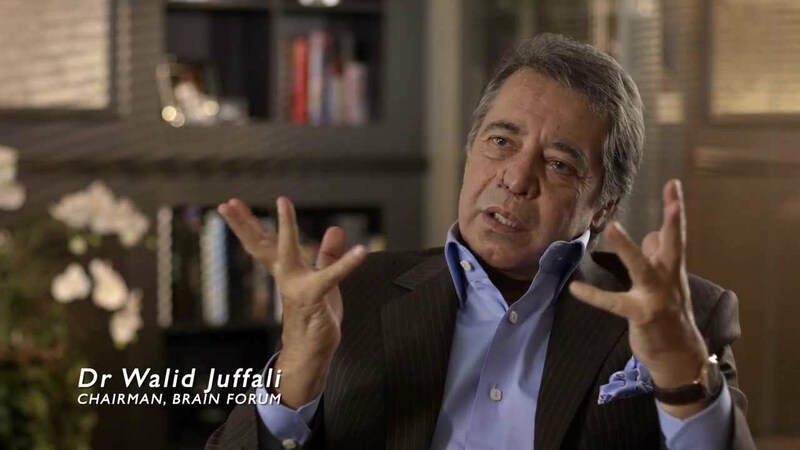 Dr. Juffali's‎ contacts and influence will be major factors in ensuring success of this initiative. Dr. Juffali's‎ second project has been to investigate the establishment of a Global Diabetes Research Centre in Saint Lucia in response to the chronic levels of diabetes in the country. A detailed multidisciplinary investigation has been conducted by some of the world's leading researchers in diabetes, science and medical business to design a model for the Centre. 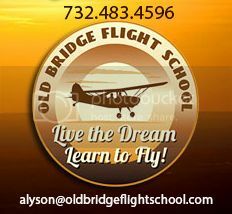 Numerous meetings were held with clinicians, nurses, and other medical personnel during the months of August and September. A final report will be issued in December with necessary announcements on the way forward to be made in January 2016." In all fairness, don't we have any Saint Lucians capable of doing what Walid Juffali is being lauded for? This stinks of an abuse of office, plain and simple! Regardless of what Dr. Walid Ahmed Juffali may be able to do for Saint Lucia he has a responsibility to answer to his ex-wife in the courts just as any other Saint Lucian must. A multi-billionaire hiding behind Saint Lucia's coattails is a laughable and can be seen as nothing else than a ploy. Dr. Walid Juffali is more than financially capable of defending himself and needs no diplomatic to shield himself from his ex-wife. The government of Saint Lucia's stance to not lift his diplomatic immunity is nothing other than standing in the way of his ex-wife getting her way in court. 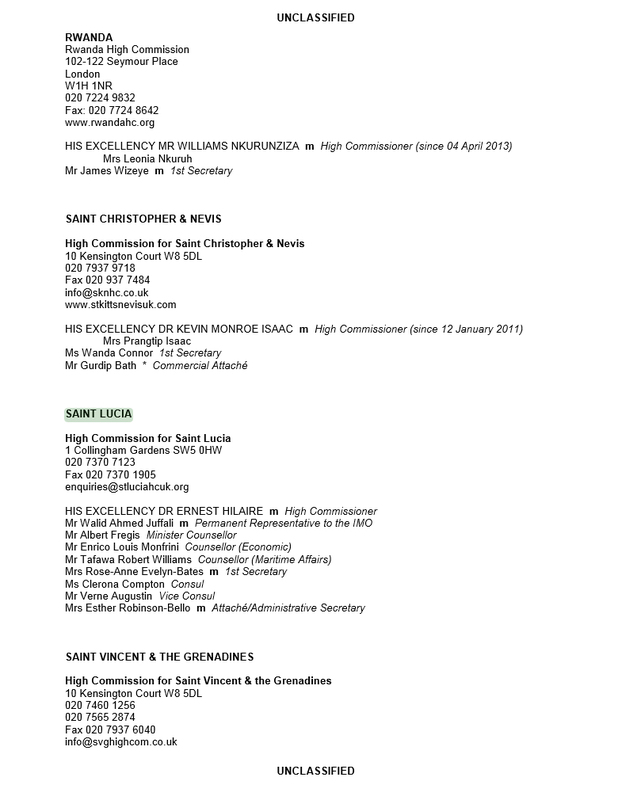 With a divorce case touted to possibly be the most expensive in British history the donation of a few millions to Saint Lucia pales in comparison to the princely sum which could be paid out in property and money to Christina Estrada. Saint Lucia is a Christian society and tries to conform to our professed Christian values. We cannot be party, by-proxy, to the shielding of a man of immense means from his ex-wife who has every right to take him before the courts. If we don't want to be honest about this situation, what does that say about us? It is time for us to extricate ourselves from this desert storm. Take your bundle and go Caroline! Arguments have been made that mystery appointments have been made by previous administrations and individuals in government almost as a justification or excuse in this instance. It must be made clear that all political parties in Saint Lucia pledge to the electorate that their policies and operations as the government will be better and not like the previous occupiers of political office. To use previous acts as justification for their actions is going against all which was offered during the political campaign and in effect says you are no different from your predecessors. In fact you have compounded your position and indicted yourself as being no different. © 2013 ONELUCIAN . Picture Window theme. Powered by Blogger.